We moms tend to put ourselves on the back burner for the sake of everyone else in our family. In honor of our change issue, we invite you to do something good for yourself this month. Need a little inspiration? These real moms have dared to make a change in their lives and couldn't be happier. Kira felt guilty leaving her kids in daycare for more than 10 hours a day while she went to a job she hated. So last August Kira left her job, began homeschooling her children and fulfilled her dream of becoming a singer. She says, "I've been homeschooling for about six months now and my 5-year-old is reading, writing and doing math at a second grade level. I'm starting with my 3-year-old as well now. Also I see that their behavior has changed because I'm with them and teach them my values. She adds, "I'm glad I left my job and began investing myself in my kids. 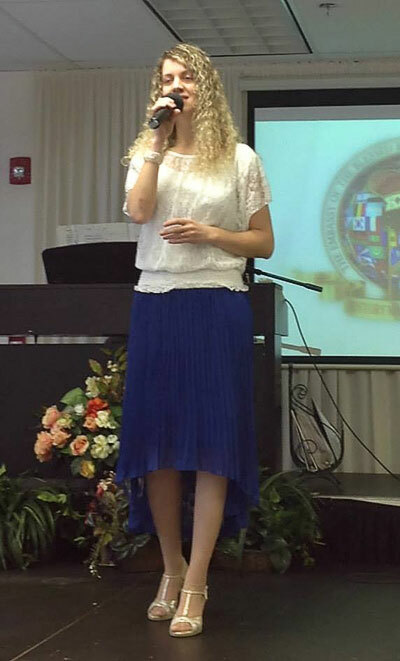 I'm also glad that I'm now living my dream as a Christian singer. I have plenty of performances and recording sessions lined up and I spend plenty of time with my kids. Thank God for completely changing my life into one of purpose, peace and joy." Mom of two Jessica found a new love by simply strapping on some running shoes. 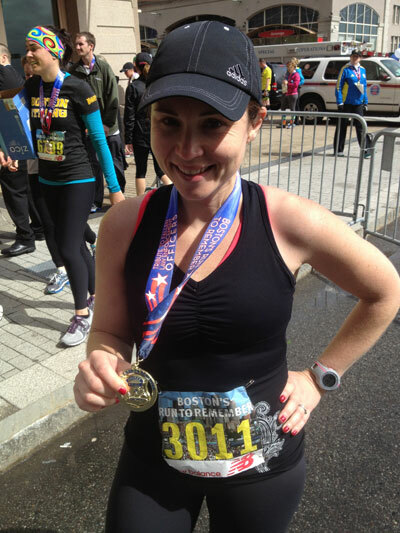 She says, "I recently trained for and completed by first half marathon in late May 2013. I have been an on/off runner over the years, but I decided to focus on running more after having my second child in June 2011 — mostly as a way to lose the baby weight and get in better shape. I ended up falling in love with the sport and have completed a number of races since, but running 13.1 still remained an ambitious (and scary) goal." Jessica doubted whether she should try to complete a half marathon due to the time commitment — time that she would have to spend away from her kids. She adds, "In the end, I decided I needed to do this for me, and I finished my first half marathon in under 2:05. Now I'm getting ready to train for my second half marathon in October. I love that my kids see me running and training and working hard to accomplish my goals — and that I am setting a good example for them about the importance of being physically active. Everyone says kids are walking reflections of their parents and that it's important we ourselves exhibit the behaviors we want to see or nurture in our kids. I hope that, in some way, I am putting them on the right path toward living a healthy lifestyle." 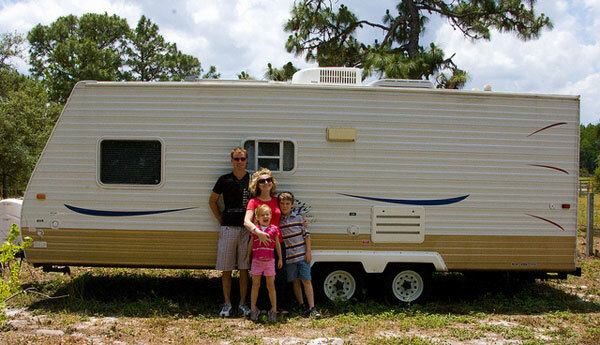 In 2011, writer, speaker and mom Britt, her husband and their kids set out in a 24-foot travel trailer to explore the country for one year. She says, "In preparation for the trip, we sold our house, gave away my car and sold most of our personal belongings." Britt says she wanted to show her kids that making their dreams a priority is possible. She adds, "We were letting go of the idea that a good parent builds their life around chauffeuring kids to extracurricular activities and keeping kids happy and comfortable at all times. Instead, we chose what we thought would be best for our kids long-term — exposing them to new experiences while modeling a 'you can do anything' approach to life." 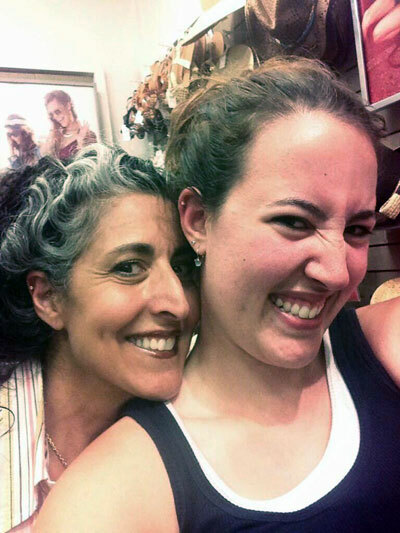 At the age of 52, Kathy wondered if she was "too old" to get a cartilage piercing along with her 16-year-old daughter. She says, "When she said she wanted to finally get it done, I made the off-the-cuff comment, 'Maybe I'll get it done too.' It was something I had wanted to do in my life, but never did. My husband thought I was crazy." She continues, "When it came time to go and get it done, my daughter was so excited about us doing it together, I just couldn't back out. She, of course, posted it with the tag line 'coolest mom.' We continue to bond over it, comparing notes on whether or not it hurts. I decided that you're never too old to rebel. That was my subtle little rebellion against seeing myself as old." When Carol's daughter was 6 years old, she began a new life by getting sober. She says, "My husband left our family four months after I stopped drinking. It was one of the best decisions I ever made, but becoming a single mom and sole caretaker of our home was extremely challenging as a newly sober person." 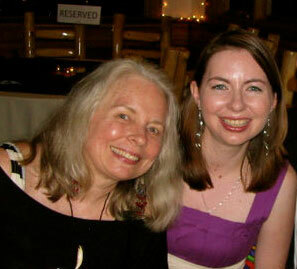 Carol brought her daughter to AA meetings with her and continued to persevere, eventually publishing a children's book. And she and her now grown daughter recently wrote a memoir together. When Brooke had her son Easton, she vowed to become the best mom she could and also the best version of herself, which meant getting back to her roots. She says, "I dared to follow my dreams even if it meant walking away from the image of 'home' I had recently created. I was a new mom, but only an image of my former self — a 2009 Fitness Universe Champion, professional cheerleader and a confident and positive leader among my peers. Reaching over 200 pounds during my pregnancy did more than tip the numbers on my scale. It tipped my self-esteem right over the cliff. Staring at my new son, in my brand new home, I knew I should be happy but something was missing." Brooke began working out again, the "old fashioned way" armed with three-pound weights and her personal training background. She says, "In the midst of rebuilding myself, I realized how lonely the fight was. I knew I wanted to help other women and share my comeback story. 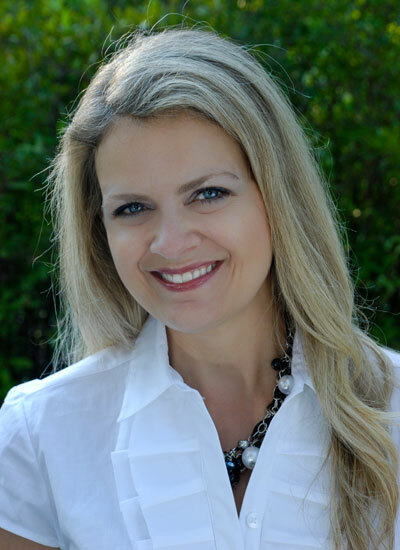 Without much financial support, I cashed out my 401K and started the Skinny Mom website and brand." Though Brooke lost her marriage in the process, she gained "my dream again... and with that a sisterhood of women seeking to receive and share advice to lead a healthy lifestyle. Better yet, my relationship with Easton has never been better." Stephanie turned her life around by putting her health at the top of her priority list. She says, "I am a former overweight, over stressed, over worked, junk food junkie turned health and lifestyle coach for busy moms. In my early 40s I turned my life around when I woke up one day to find myself 50 pounds overweight and on heart medication and antidepressants." She didn't want to lead her children down the path of an unhealthy lifestyle, so she changed everything — her food, her career and her life, and her family's lives in turn. She says, "I went back to school to become a health coach to help other families. My husband lost 50 pounds and now runs in half marathons and is a triathlete. 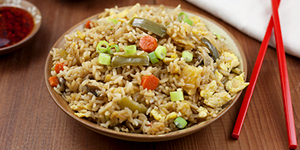 My kids are aware of ingredients and enjoy being in the kitchen and even making videos for my YouTube channel." Making a change doesn't have to mean recreating your entire life, however. We encourage you to find something in your life that is just for you. If you still need a little motivation, family therapist Esther Boykin, LMFT, CEO of Group Therapy Associates, says, "There are many reasons that it's crucial for moms to take care of themselves and maintain things in their lives that are going to fulfill and enrich them as individuals. I like to refer to it as the airplane rule — you must take care of you before you can take care of everyone else. No matter how much we encourage our children to be healthy, explore their passions and take good care of themselves, it cannot compensate for a poor role model. Esther adds, "One of the other important reasons that moms need to do things to fulfill their spirits and bring more fun and joy into their lives is because children live what they see. No matter how much we encourage our children to be healthy, explore their passions and take good care of themselves, it cannot compensate for a poor role model. Especially for our daughters, it is important for children to see their mom not only take care of the family but also make time to try new hobbies, rekindle an old passion for dance or music or even venture into a new career. It is that example that will encourage them to create a healthy balance between self-care and caring for others in their own adult relationships." Joel B. Ingersoll, Ph.D., of the Center for Psychological Health & Fitness, LLC, says, "For moms, maintaining or regaining their identities after having kids helps foster a balanced, positive sense of self. Whether it's returning to work, starting a business, exercising or continuing with education, if any or all have been important in the past, then attending to them after having kids keeps moms connected with meaningful values that can lead to personal fulfillment, a balanced lifestyle, goal attainment and an overall positive sense of self."